It's hard to believe that it's been 25 years since Nintendo released their Super NES (Nintendo Entertainment System) video game console. 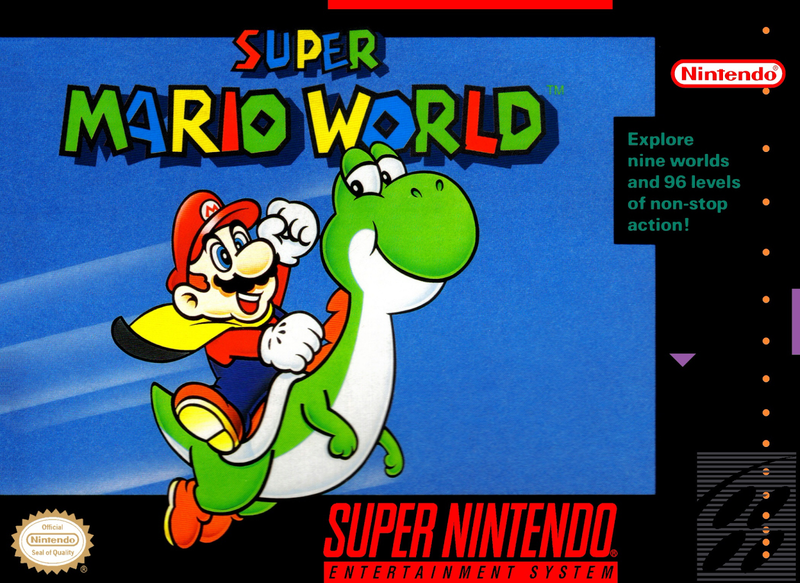 Included with the SNES was one of their best-selling games, "Super Mario World". 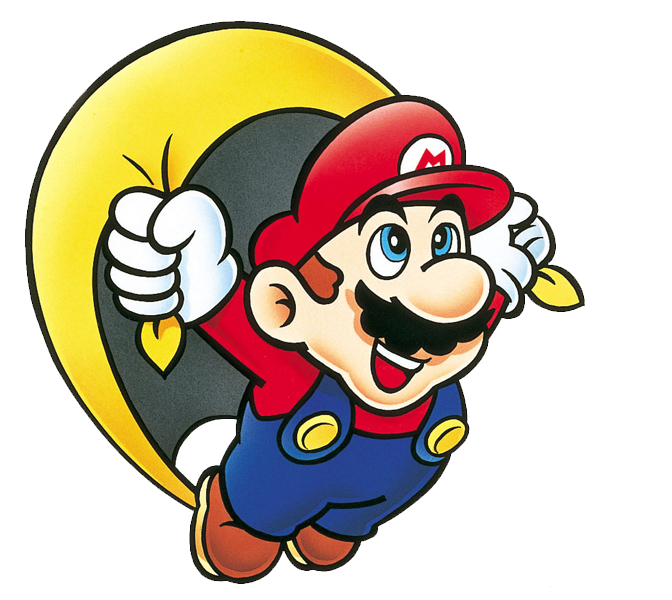 Over the years it remains one of the most beloved games and, in my opinion, the best Super Mario Bros. game ever (with Super Mario Bros. 3 coming in a close second). Keep in mind that I haven't played any of the Wii/Wii U Mario games, and they do look incredibly fun. I'm not a full-on gamer, nor do I own Nintendo's latest console (the Wii U). In fact, the last NES console I bought was the N64, which I no longer own. Fortunately, I own a device that allows me to play NES and Super NES games. And when I get in the rare mood to play video games, I tend to play my regular Nintendo favorites: "Mega Man," "Ninja Gaiden," "Raiden," "Donkey Kong Country," and of course the game that takes up most of my time, "Super Mario World." Just a few weeks ago I got in the mood to once again play "Super Mario World". When I realized how many years it had been since it was first released, I wondered to myself, "What makes me keep coming back to play this game?" And as I started thinking about my answer, it was clear that I had several answers to that question. 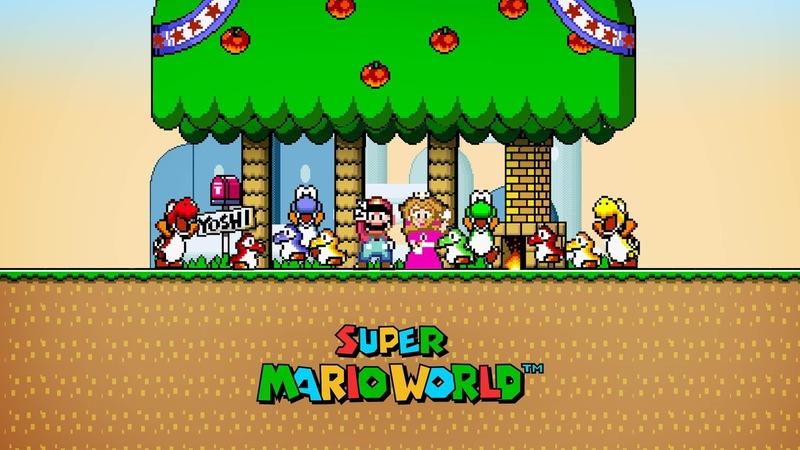 "Super Mario World" is the first Super Mario Bros. (SMB) game released on the Super NES console. The first SMB game was released on the original NES in 1985. Its sequel, which had a very different gameplay, was released in 1988. And the third, which was released in 1990, reverted the gameplay to be more like the original. It also featured the ability to fly for the first time, among other new features. 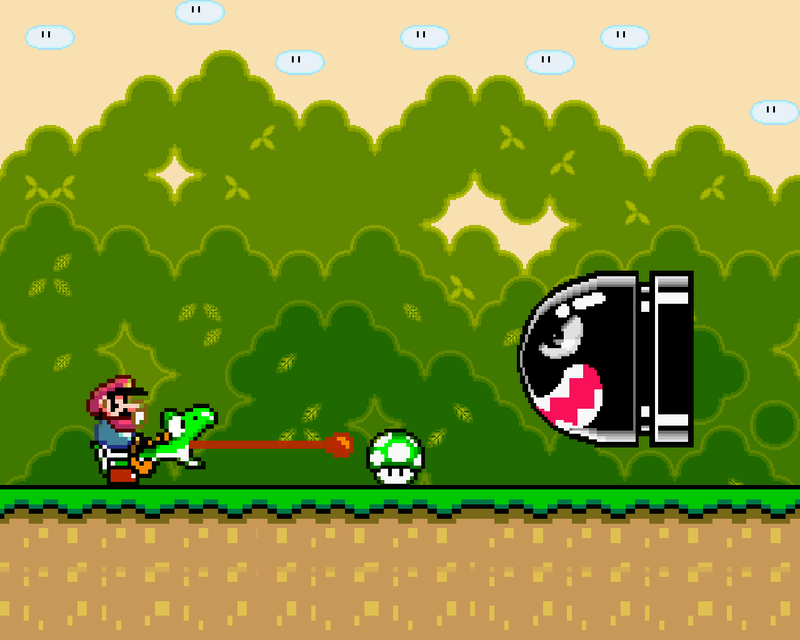 "Super Mario World" combined elements and characters from these three games, and included several new abilities, most notably from a new character named Yoshi. It's no doubt that gamers will agree that Yoshi is invaluable to the game, and some levels cannot be completed properly without him. By this point in time, I had already become a fan of the SMB world and its main characters: Mario, his brother Luigi, Princess Toadstool, and Toad. Even the bad guys (King Koopa/Bowser, Bullet Bill, Koopa Troopa, Goomba, and so many more) are kinda likeable. That, as many will say, is vital to the longevity of a game franchise. If gamers love the characters, then they will always want more. And fortunately for all of us, Nintendo didn't simply create the same game over and over. 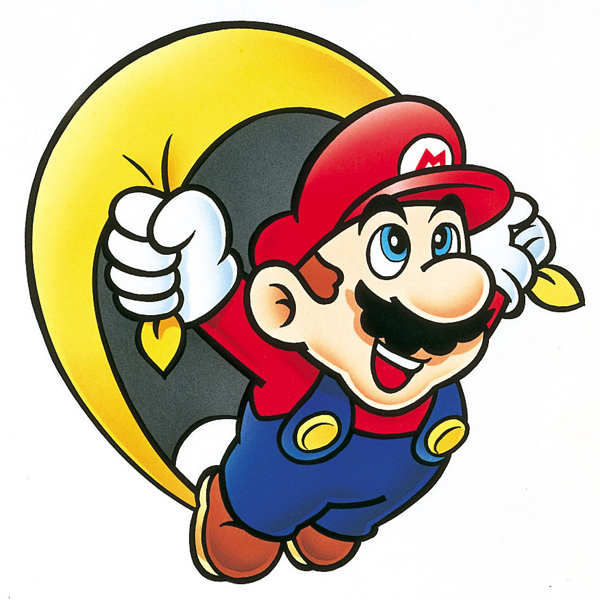 Even though most of the SMB games have similar plots -- to save the Princess -- each game introduced new abilities, more loveable characters, and expanded lands. The graphics also continued to develop, and this has always set the bar very high for other Nintendo games. If you look at the graphics for "Super Mario World," they actually still look great, despite it being only a 16-bit game. They make great use of this technology, especially compared to other 16-bit games. 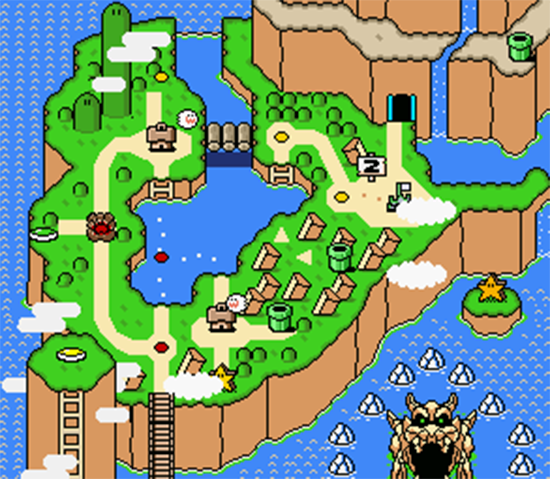 But what struck me as amazing about "Super Mario World" is how much more fun it is to replay. Although the goal of most gamers is to reach the end of the game and beat the main boss, this is only a small part of the fun. The most enjoyable aspect for me is finding all of the hidden levels and hidden areas within the regular levels. As fans will already know, levels on the map are shown with either a yellow or red dot. The yellow dots signify that there is only one way to beat that level. Red dots, however, have more than one way (usually two). The second method is typically hidden with a key and must be discovered by the player. Sometimes these alternate endings are only accessible after beating other levels or gaining items such as the yellow, green, red, or blue switches. These help reach areas that Mario cannot access without first retrieving the switches. There are also hidden and bonus "Star" levels throughout the map. 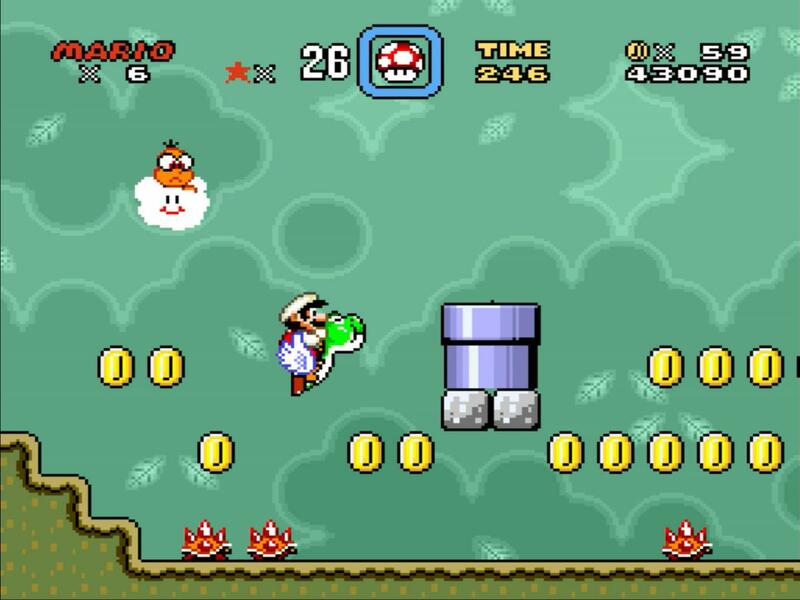 Some of the hidden levels are nothing more than just a means to get power-ups (mushrooms, fire flowers, cape feathers, extra lives, or Yoshi). Other levels can be extremely challenging and provide gamers an opportunity to get really frustrated. I admit there have been many times when I stood up with controller in hand and a desire to punch randomly at the air. The worst part is that sometimes you lose a level for the simplest reason and you want to yell at the game. Of course, there's a flip side to that. Once you beat those kinds of levels there's a sense of victory that only a gamer can fully appreciate. You feel like a king, even if just for the briefest of moments. There's nothing quite like that feeling. One of the best aspects of hidden areas within levels is the opportunity for gamers to practice new moves on easier levels. Doing this helps build confidence and skill for the much more difficult levels that require specific moves or abilities. 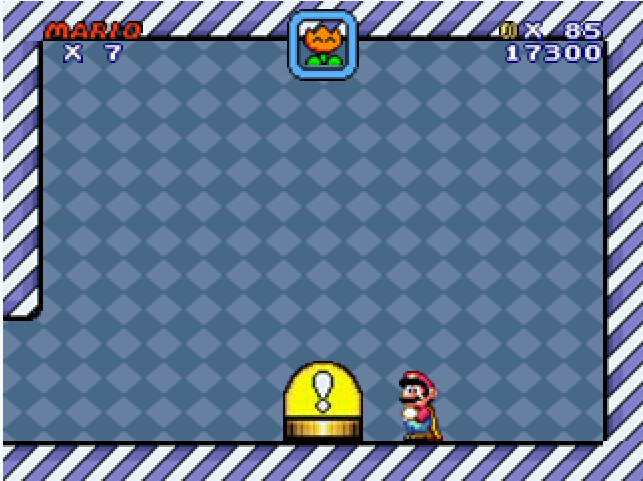 But even better is the fact that replaying these levels can be a nice break from the more challenging levels. Personally, when I can't beat a hard level, I take a break and fool around with the easier levels. Sometimes it's good to get away from something difficult and use the easier levels to regain my determination. This is also a great opportunity to replenish my extra lives and power-ups. Whether or not the programmers actually planned that, it seems unlikely that it was by accident. I'm fairly certain this was intentional; after all, this is the same game that knows how to create anxiety by speeding up the music when there's only 99 seconds left to beat the level. And boy-oh-boy does that change in tempo work. I can actually feel my heartbeat thumping louder and my hands get tingly and a little sweaty. On really hard levels I've learned to mute the sound just to get through it. I think it's quite genius on Nintendo's part. So why do I keep coming back? It's easy to say that it's because of a combination of the characters, the graphics, the music, the discoveries, the playability, and even the frustration. I could also get into the nostalgia of it all but, honestly, there's not enough time to fully answer that question. It's just a great game, and having been addicted for the last few weeks, I think I may finally have to upgrade to the Wii U so that I can try out the latest Super Mario Bros. games. What's your favorite Nintendo game? 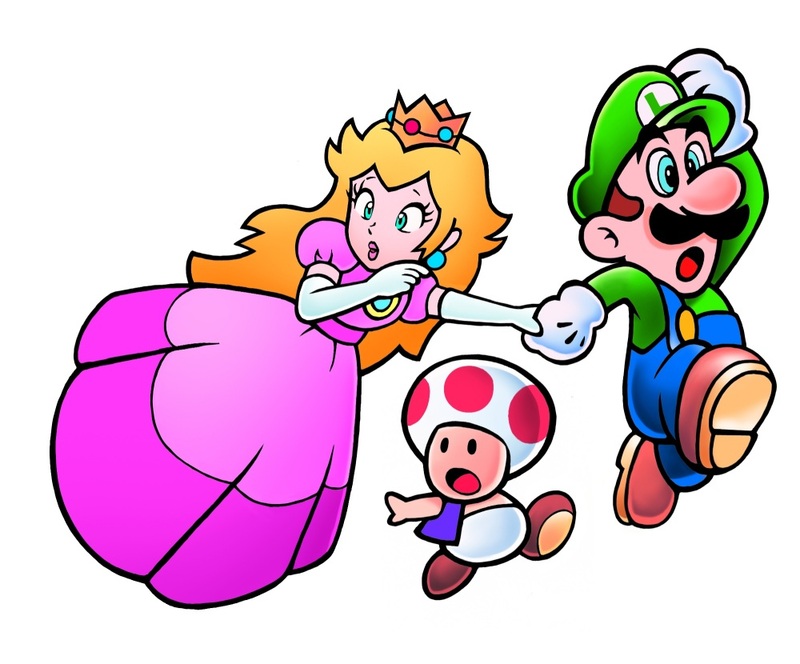 TRIVIA: In North America, Princess Toadstool's name was eventually changed to Princess Peach in 1993. Her name change made its first appearance in the game "Yoshi's Safari". Additionally, in Japan her name was always Princess Peach.